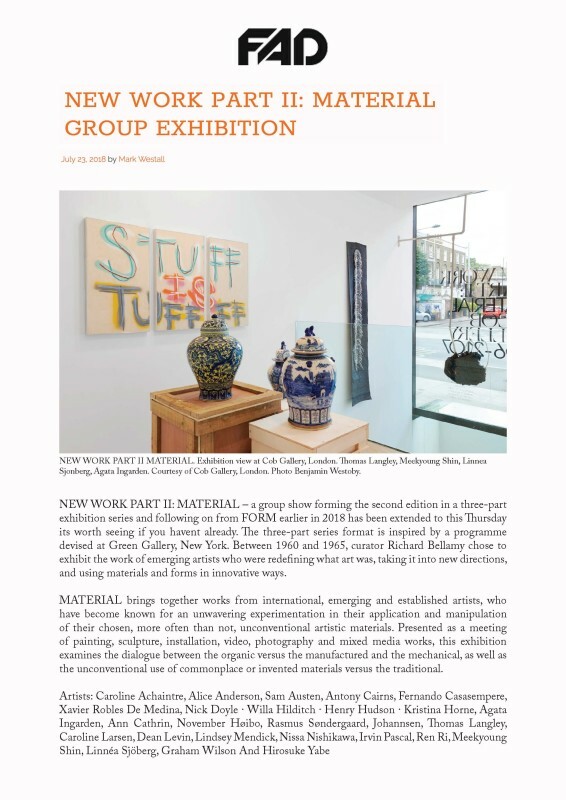 NEW WORK PART II: MATERIAL – a group show forming the second edition in a three-part exhibition series and following on from FORM earlier in 2018 has been extended to this Thursday its worth seeing if you havent already. The three-part series format is inspired by a programme devised at Green Gallery, New York. Between 1960 and 1965, curator Richard Bellamy chose to exhibit the work of emerging artists who were redefining what art was, taking it into new directions, and using materials and forms in innovative ways.